Just like humans, cats need sufficient water to survive and having a good cat water fountain will help make your cat’s and your life easier. Unless you’re very particular about refilling their pet bowl with water, there is a good chance that you will sometimes forget it. Cat fountains can prevent this from happening because they store more water and it lasts longer. It may seem unimportant but if you go out and forget to fill the bowl, your cat will not be able to have a drink and may get dehydrated. Unless of course, there are other sources like the bathroom but that’s not always accessible to them. There are many dangers in dehydration in cats. They also need good collars and proper toys and this guide on the best cat toy will help you pick one. There are different types of cat water fountains, each offering different features and conveniences. Our list includes the most innovative and functional ones. 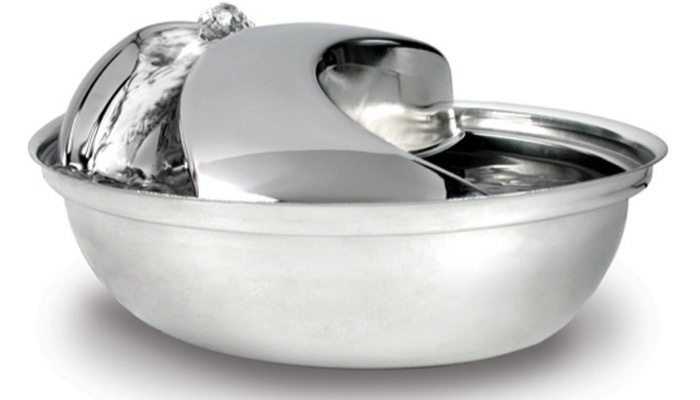 Topping our list is the PetSafe Drinkwell Platinum Pet Fountain. It has a built-in reservoir that increases the capacity of water and requires less filling. 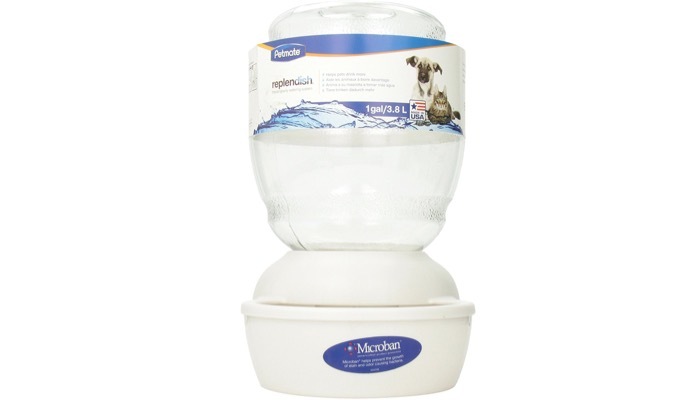 This has a capacity of 168 ounces of water that is great for all pet sizes. The free-falling water stream encourages pets to drink more. 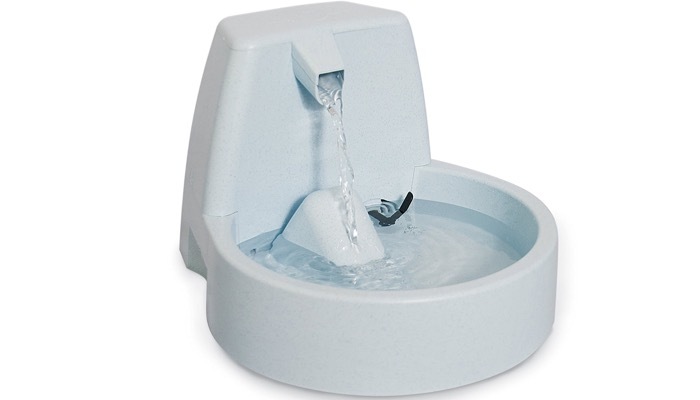 Using this cat fountain will prevent urinary and kidney diseases by properly hydrating them. It uses BPA-free plastic design and the top shelf is even dishwasher safe. It includes a carbon water filter that removes bad tastes in water as well as odor so the water is always fresh. Second on our list is the Drinkwell Original Pet Fountain. This has a 50-ounce water capacity and is suitable for smaller cats. It could also be used by puppies. It features a free-falling stream so your cat can drink more water. The adjustable flow control knob lets you adjust and customize the water flow. This will let the water constantly circulate to prevent bacteria growth. The ramp design reduces spilling and splashes. It also creates a natural sound of flowing water which is soothing. The power cord is 6 feet long with an inline connection so it’s easy to disassemble. If you don’t want a plastic material, the Pioneer Pet Raindrop Drinking Fountain is a great choice. It’s made of stainless steel. The circulating drinking water is naturally appealing to your cat. It has a replaceable charcoal filter that provides pure, clean and healthy water. You can move the spout to the center of the fountain so that it’s aligned properly and the water is smooth flowing. This cat water fountain is dishwasher safe with a high-grade stainless steel construction. It’s easy to clean too. It has a 60-ounce capacity. 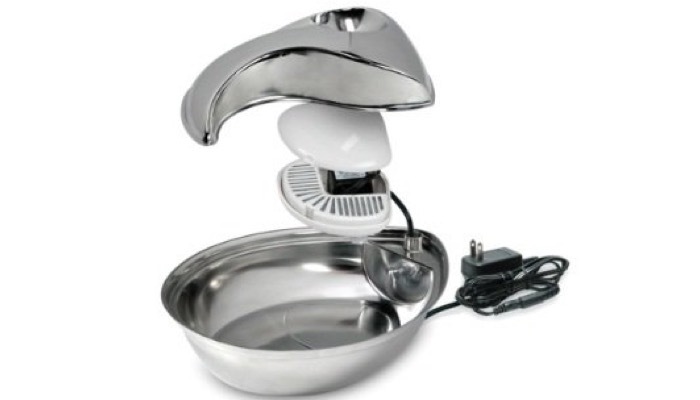 It uses an electric pump to keep the water fresh. 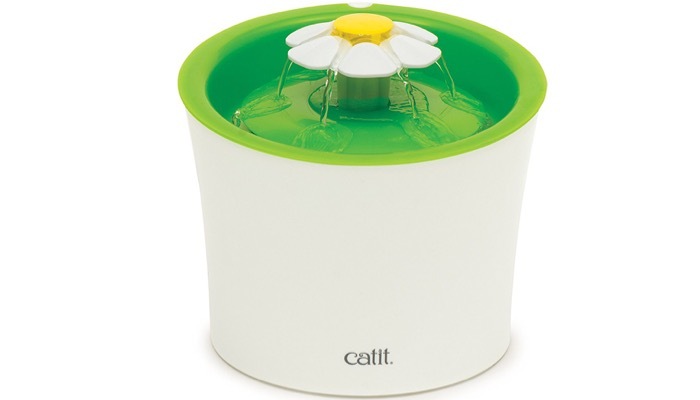 A cute and totally functional alternative is the Catit Flower Fountain. It has a really nice attractive design with a flower on top which makes it a great décor in your house as well. You can set 3 different water flow settings in case your cat is a picky drinker. 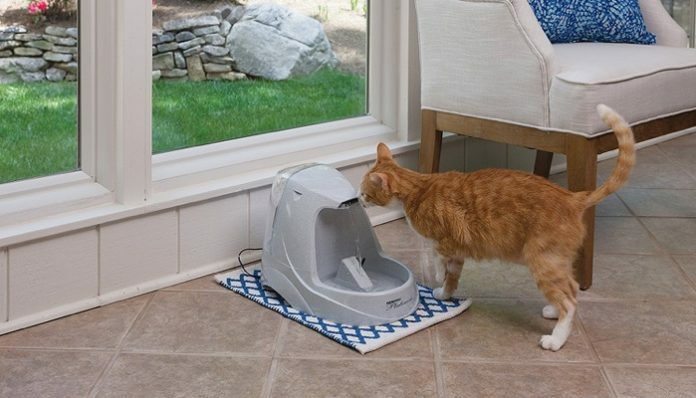 This cat water fountain offers maximum oxygen to keep the water fresh and better tasting. It also takes a small space on your floor. This unique design offers fresh water that’s always available to your cat. It includes a dual action water-softening filter and a small pump that is energy efficient so you won’t worry about electricity bills. 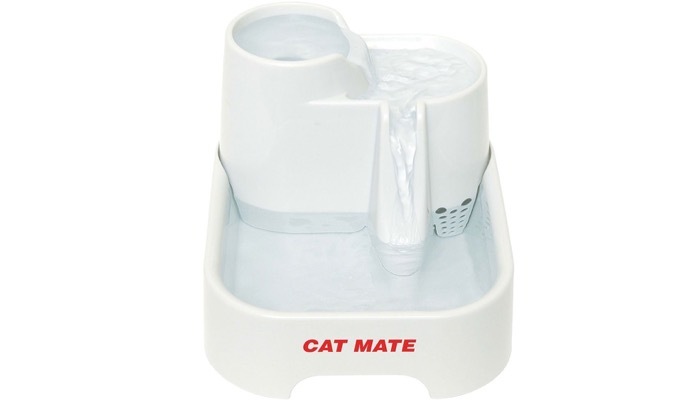 Another unique model is the Ani Mate Cat Mate Pet Fountain. It features multiple heights of drinking stations so both big and small cats can drink. The ramp design reduces splashing so you don’t waste water. It uses an isolated pump system that makes this a quiet operation. 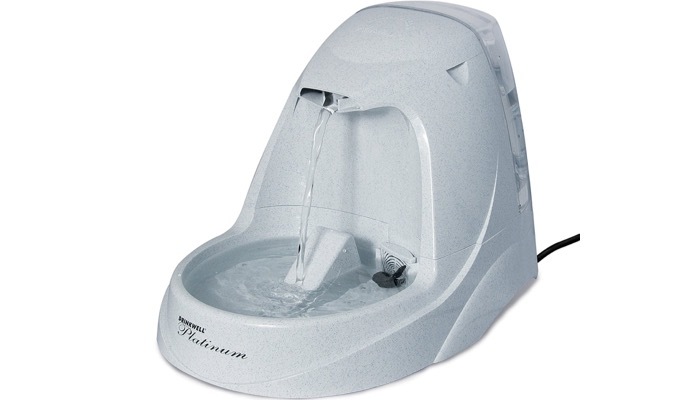 This cat water fountain includes a polymer-carbon filter that purifies the water and has available replacement cartridges. This will help keep your cat hydrated. The design encourages your cat to drink enough water. It delivers clean and fresh flowing water and it’s easy to clean. A great affordable alternative is the Petmate Replendish Gravity Waterer. This is a gravity type water fountain that is ideal also for short travels. 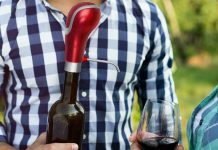 It will allow you to make fewer refills so it’s convenient for busy pet parents. It features an advanced water filtration system which removes and reduces the presence of volatile organic chemicals and chlorine in water so it’s safe for your cat. The Microban feature is an antimicrobial protection which prevents the growth of stain and bacteria that causes odor in water. This is also great for those who have more than one pet in the house. Cats can get picky when drinking from a container so a water fountain is a great solution. There are different types of cat water fountains available. Depending on the size of your cat and their personality, there are certain factors to consider when choosing one. The fountain types are, of course, the most popular cat fountains. These usually have an electric pump which makes the water circulate so that it’s fresh all the time. A great advantage of this is that the design often prevents water from spilling so it won’t make a mess in your house. There is also the bubbler which uses an air pump instead. This will continuously oxygenate the water so that it’s free from harmful chemicals. These can sometimes scare pets because of the pumping. Then there’s the gravity type which keeps water in a container and slowly disperses it into a bowl so that you don’t have to refill it as often. A disadvantage of this is that it often makes noises like blurbs. They could also be messy because water could splash. Modern cat water fountains include charcoal filters to further help keep the water fresh at all times. These also prevent bacteria growth as well as odors. The water will taste fresh and clean. 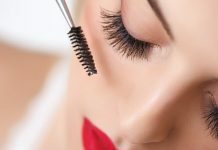 They can sometimes be hard to clean so check for the ease of maintenance. Make sure that the fountain is easy to clean. Some pet fountains are dishwasher safe so you just have to do minimal cleaning. You also need to maintain the pump and filters. Always make sure to check the cat water fountain before leaving the house especially if you’ll be gone for a long time. On the other hand, you may also check out our take on the best dry cat food available on the market today.